Event Tent Rentals from CT Inflatables & Event Rentals allows you to have enough space to entertain! We have a great selection to choose from. We will deliver, set up, and pick up your rentals. 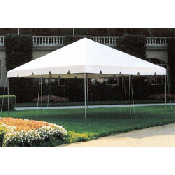 Our tents provide shade and protection from the elements. We have a variety of sizes to choose from so you can accommodate whatever sized party you are having. Tables and chairs go hand in hand. These rentals are great for many occasions like family reunions, company picnics, or parties. CT Inflatables & Event Rentals has 15 plus years in serving this great community with high quality and affordable party rentals that our customers love. We have old fashion service and believe in 100% customer satisfaction. All of our event rentals are cleaned and sanitized before they arrive to you. We will deliver, set up, and pick up your rentals so you won’t have to worry about a thing! Contact Us today and let us bring the party to you.